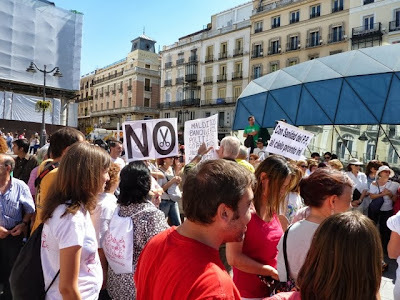 Today we walked to Plaza Mayor where a political protest was happening. It looked like the government is cutting health care, but we later discovered it was related to privatization of the hospitals. The protesters were mostly government employees. 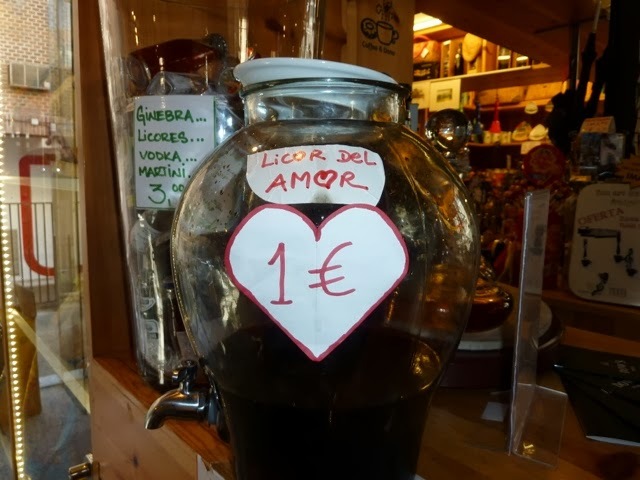 We walked on to the Plaza Mayor expecting to find a huge flea market. (Oops! Wrong location.) But there were tables of vendors selling "potentially collectible" coins. Mary & Ed arrived from the train station at 5:30 PM. Their apartment adjoins ours, we had the keys. So we gave them a quick orientation. 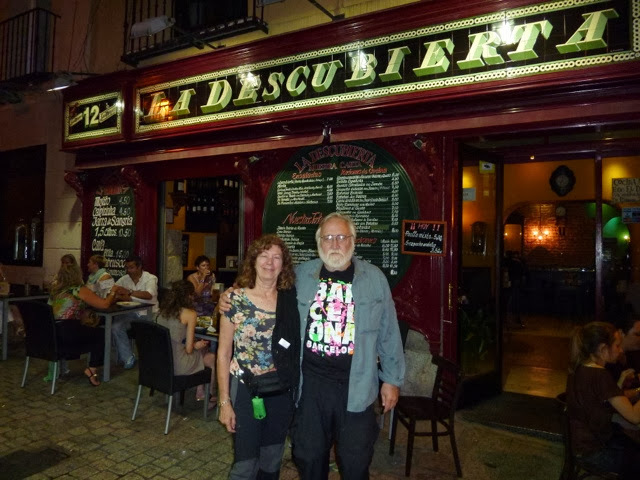 After some time to rest and unpack, Mary selected the oldest tavern in town for dinner. 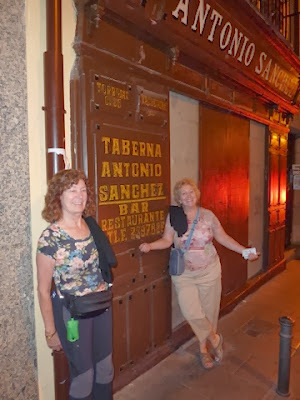 The neighborhoods became increasingly more seedy as we walked to Taberna Antonio Sanchez. The place makes claims that it is historically significant; ufortunately it was closed tonight. A fitting name … we "discovered" this place called "La Descubierta" in the famous tapas crawl area behind Puerta del Sol. Absolutely excellent seafood paella was on special for 5€.